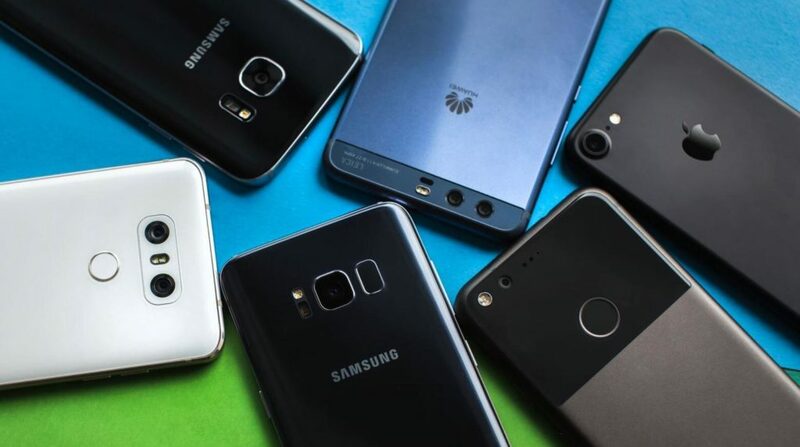 2017 was all about innovating & experiencing something new to bring out revolutionary changes in the Smartphone industry and that big change we saw in the form of 18:9 aspect ratio Display it all started with the LG G6 and the Samsung Galaxy S8 and S8 Plus had put it into the mainframe, today we look back to these ingenious smartphones of 2017. LG played a masterstroke with V30 by mastering the Dual camera and put it against the Samsung Galaxy Note 8 directly. 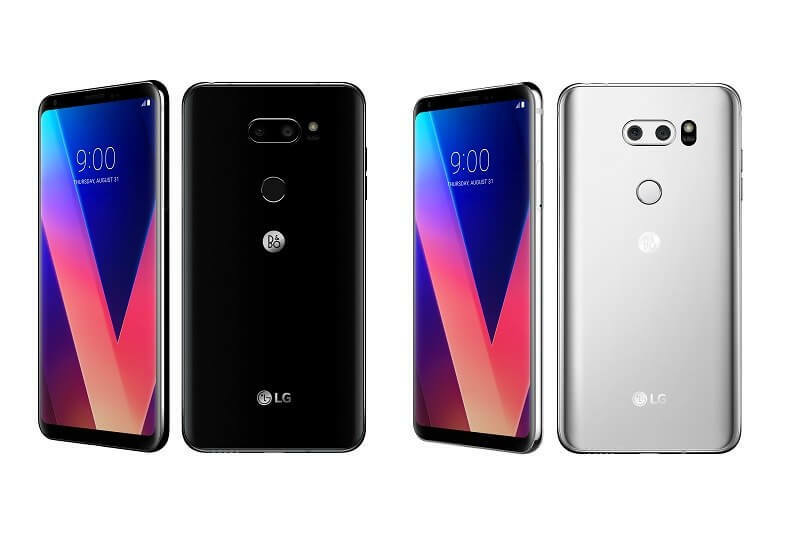 LG V30 comes with 6.00-inch 18:9 Quad HD+ Display with a resolution of 1440 pixels by 2880 pixels. It runs on Qualcomm Snapdragon 835 along with 4GB of RAM and 64GB of internal storage with the possibility of expansion upto 200GB via a microSD card. When you are busy googling out the best features of the best smartphone, the search giant is busy noting it down on their Notepad and making it real with the Google Pixel series. 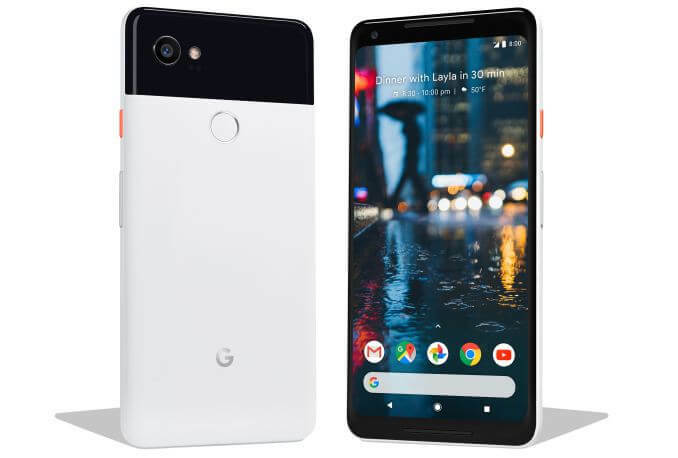 Google Pixel 2XL is the best example of it, as in the crowd of Dual camera Pixel 2XL has managed to capture the throne with the only single rear camera. Yes, the Google Pixel 2XL also has emerged as the best camera smartphone of 2017 by DxOMark. The Pixel 2XL flaunts a 6-inch P-OLED display with quad HD+ resolution with the aspect ratio of 18:9. It is powered by Snapdragon 835, paired with 4GB of RAM and 64GB/128GB of onboard storage. It is equipped with a 12.2-megapixel single rear camera of aperture f/1.8 with optical image stabilization (OIS), 4K video recording capabilities. Other features include a 3,520mAh battery, running on latest Android Oreo. 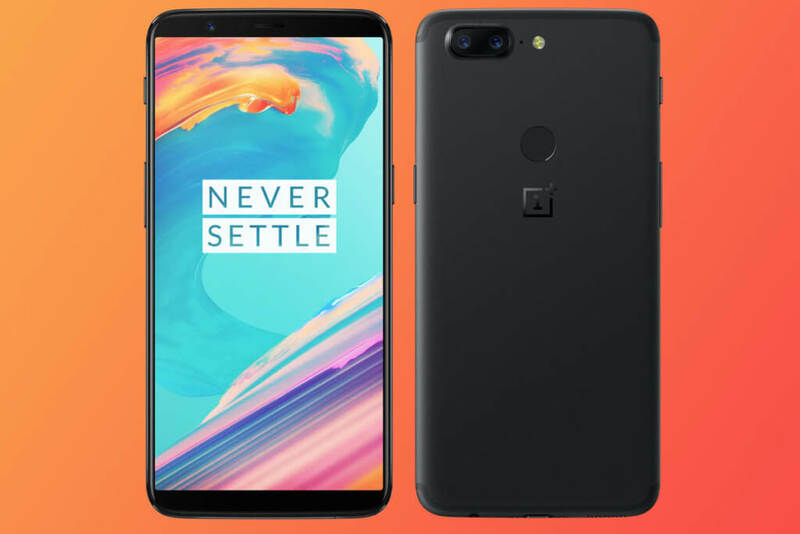 OnePlus 5T comes with a 6.01-inch touchscreen 18:9 aspect ratio display and is powered by 2.45GHz octa-core Qualcomm Snapdragon 835 processor bundled with 6GB/8GB Ram and 64GB/128GB Internal storage. As per camera, there’s still a 16-megapixel main camera, but the 20-megapixel telephoto lens now is a lens designed to take better low-light shots. It comes with 4K Video recording and the electronic image stabilization and the 5T ships with the same 3300mAh cell as its predecessor. 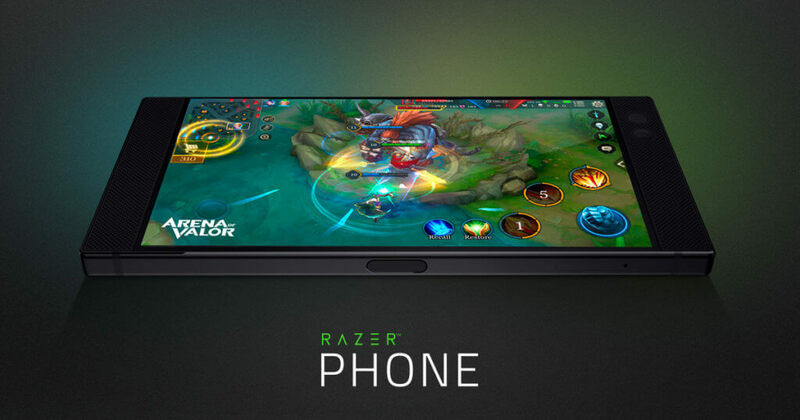 The Razer Company has launched their very first smartphone in this year only aiming towards gamers and now their name is on everybody lips, they have shown everybody with the right design and right components you can achieve great height in very less time. The Razer phones is a one of kind smartphone that uses a 120 Hz display for the true gaming experience. Razer features a 5.7” QHD IGZO screen is the World’s first smartphone with a 120Hz refresh rate to be known as Ultramotion Display, so you won’t be experiencing any tearing or buffering, all smooth gaming experience. It comes with Qualcomm’s Snapdragon 835 with the mammoth 8GB of Ram and 64GB Internal Memory and can be expanded via a microSD card. There is a 12Mp Dual Camera, where one is a 12MP F/1.75 wide angle lens and the other is a 12MP F/2.6 telephoto lens with 2X zoom and 8MP for selfie lovers. It packs a 4,000mAh with Quick Charge 4.0+ and big Dual Front facing Speaker with Dolby Atmos and is certified by THX. Samsung made a comeback with its Galaxy Note 8 after the Galaxy Note 7 fiasco where Samsung faced global heat over the battery vulnerability of its Galaxy Note 7 phablet but this time Samsung has put a lot of efforts on battery safety compatibility test protocols to make sure the device is safe to use. The phone comes with a gigantic 6.30-inch 18:9 Display with a resolution of 1440 pixels x 2960 pixels. 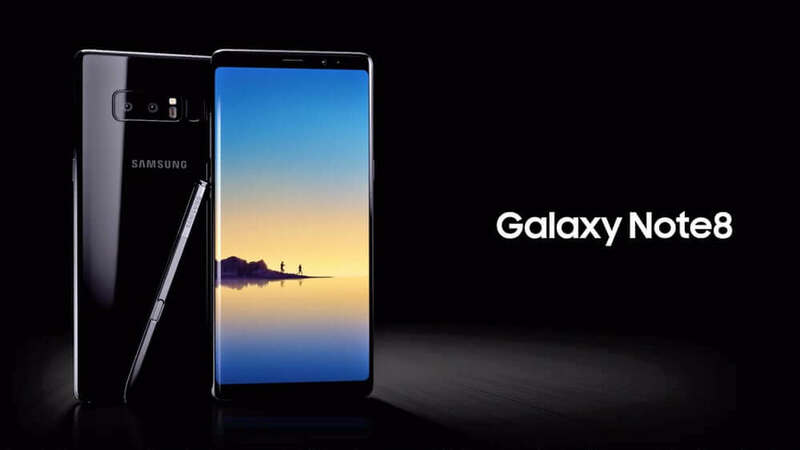 It is powered by 1.7GHz octa-core Samsung Exynos 9 Octa 8895 processor with 6GB of Ram and 256GB Internal storage along with a 12-megapixel dual-lens rear camera and 8Mp front shooting camera. The Samsung Galaxy Note 8 runs on an Android 7.1.1 Nougat and gets its power by a 3300mAh non-removable battery.